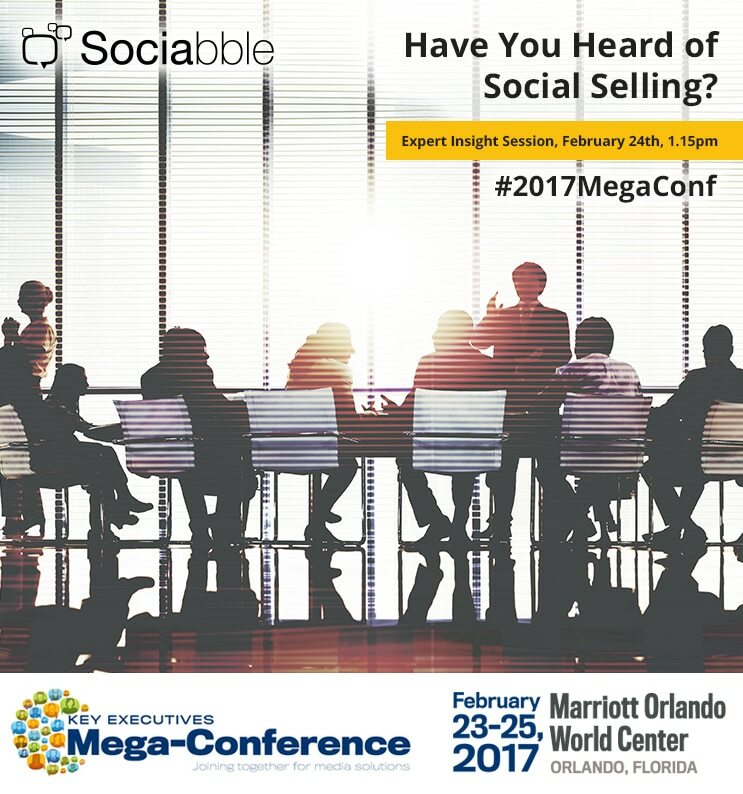 On February 23rd-25th 2017, Sociabble will be at the Mega-Conference, Orlando: an event that brings together over 700 executives to explore new approaches, solutions, and business models within the media industry. During the event, which takes place at the Marriott Orlando World Center, Sociabble’s Director of Sales and Client Services for the Americas Trina Chaimongkol will speak on the topic of social selling; explaining what companies need to do to create a winning formula, and how they can achieve success at scale. Have You Heard of Social Selling? During this breakout session Trina Chaimongkol, Director of Sales and Client Services for the Americas at Sociabble, will demonstrate how social listening, online prospection and thought leadership form a winning trio when it comes to social selling. Drawing on best practices and success stories, the presentation will conclude with social selling tips for media companies. Sociabble is the leading provider of social selling software. The platform organizes brand, third-party and user-generated content onto themed channels from which users can share on social media, and tracks subsequent traffic and lead generation. Available natively for Android, iOS and Windows Phone; Sociabble features include gamification, newsletters, calls-to-action, advanced analytics, lead tracking and individual performance dashboards. The platform integrates with a number of CRM, curation, listening and retargeting tools, including Office 365, Salesforce and RadiumOne.